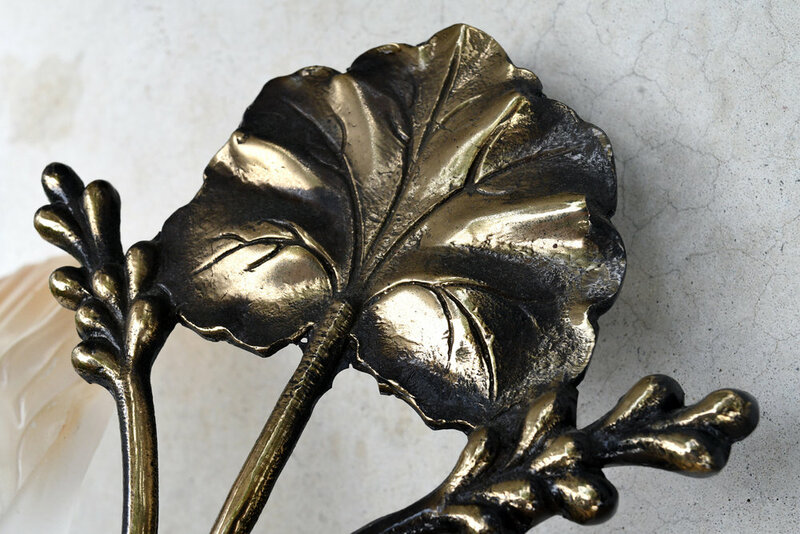 Beautiful cast brass sconce with leafy details and large orange/peach colored shell shades. Perfect for an oceanfront home, or for all you land-locked beach lovers! Two sconces available; sold separately. 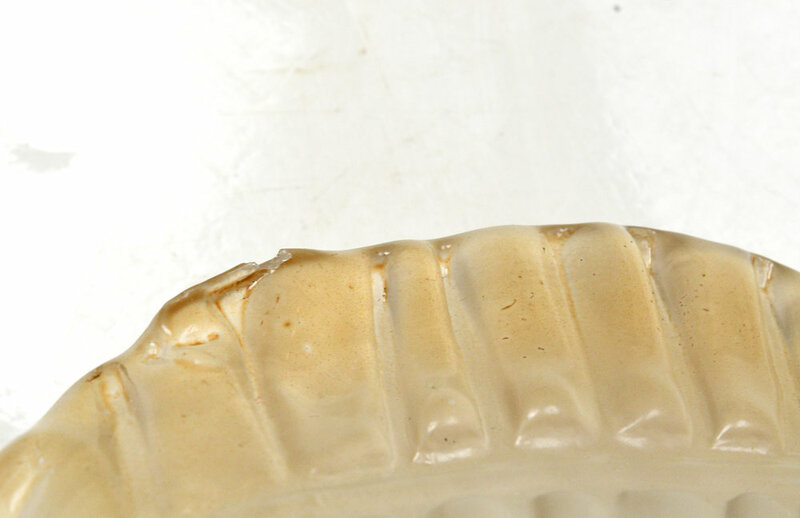 Please note that one sconce has a tiny chip on the upper edge of one shade. See additional photos for details. This product would look great with its matching chandelier, which you can view here. Be sure to include the Product ID (AA#47948) when making your offer.